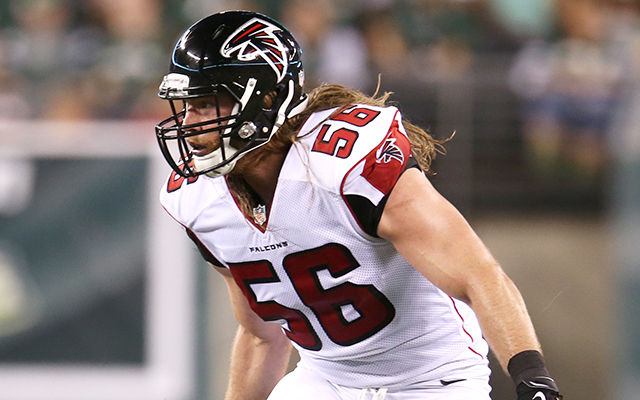 The Arizona Cardinals announced Saturday that they’ve signed the former Atlanta Falcons linebacker to a one-year contract. NFL Network Insider Ian Rapoport reports Reed’s deal is worth roughly $2 million, per a source informed of the situation. The signing is a homecoming for Reed, who is a Tucson native and also played collegiately at the University of Arizona. The Falcons parted ways with Reed earlier this week after four seasons with the team, along with other notable veteran players. An eight-year NFL veteran, Reed has played in 120 career games (86 starts) and has 269 tackles (179 solo), 21.5 sacks, three forced fumbles, two fumble recoveries and one interception. He entered the league with Houston as a second-round selection (42nd overall) in the 2011 NFL Draft. The 31-year old Reed played in 60 games (34 starts) with Atlanta the past four seasons at defensive end, including appearing in all 16 games last season with eight starts. Reed played in 60 games (52 starts) at linebacker in his four seasons with Houston. He has also played in nine postseason games (five starts) in his career, collecting 29 tackles, six sacks, one forced fumble and four tackles for loss. Reed attended Sabino High School in Tucson and played at the University of Arizona from 2007-10 where he was named first-team All-Pac-10 as a senior after starting all 13 games and collecting 6.5 sacks, 47 tackles and 10 tackles for loss. He was released by Atlanta on Thursday.